I of course visited my usual wholesalers and boutiques but today I made a stop at Target for some huge storage containers. If I am shopping at Target I always stop by their awesome $1.00 section. Its the best place for little birthday goody bag items, bridal showers, baby showers etc. Today I hit the jackpot, since Valentine's Day is approaching they had tons of red, pink and purple items. 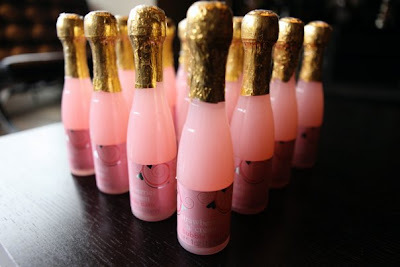 I am planning a all pink bridal shower brunch and I have been looking for little items for the "Thank You" bags. Well, well, well what do I see all the way on the bottom shelf?!?!?!? 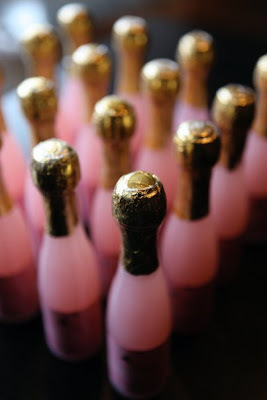 Miniature bottles of champagne with bubble bath in them! SO PERFECT....Wait, wait AND they are PINK! Think of all the things that can be done with these lovely little bottles. They can be used as place card holders with a simple card tied on, Bridal shower prizes or in "Take Away" bags like we are doing. In the bags were including the bubble bath, candles, lotion, small perfumes, etc. 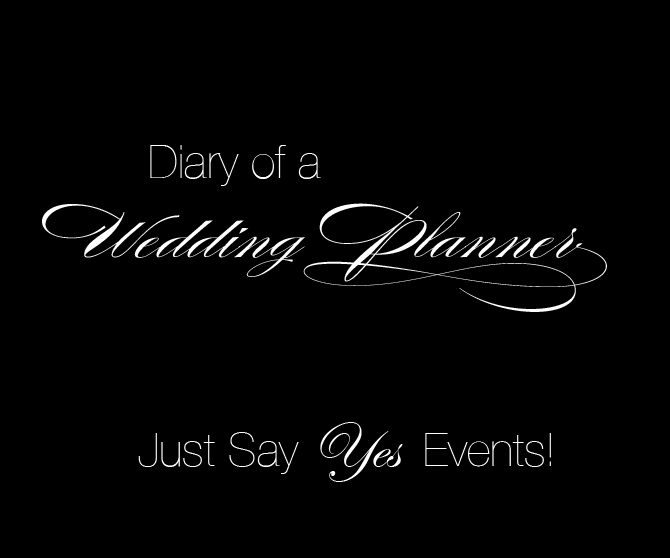 Just Say Yes Events Team.